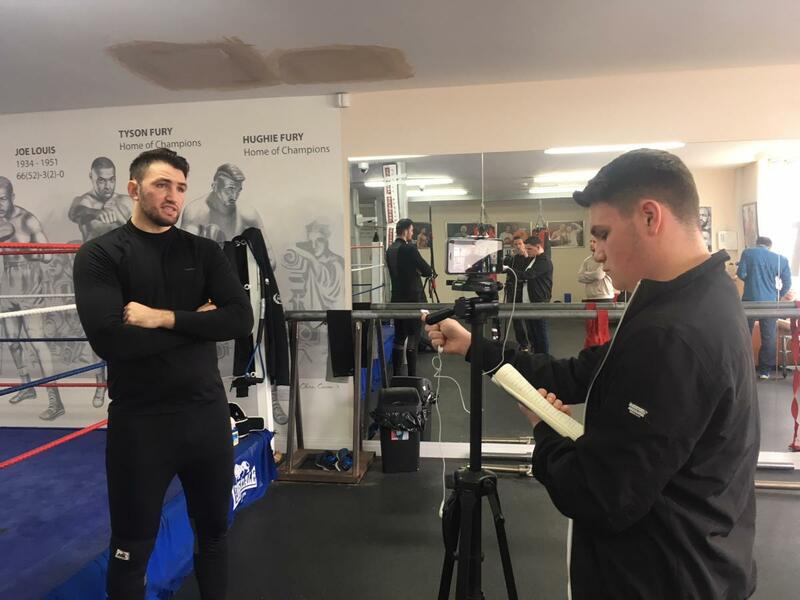 University of Chester Sports Journalism students gained exclusive access to work with new British Heavyweight champion Hughie Fury as he beat Sam Sexton at the Macron Stadium, Premier Suite. 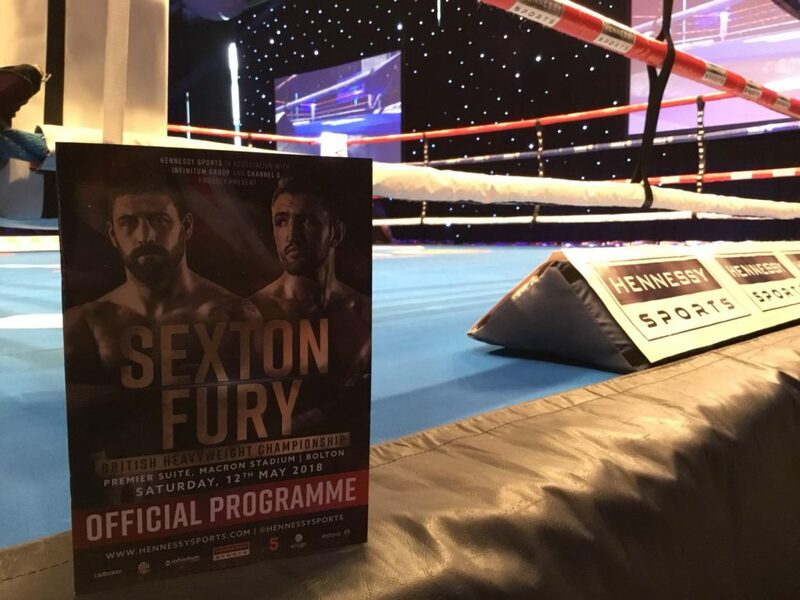 Students were invited into Fury’s training camp where they filmed and interviewed the former world title challenger and his father and trainer Peter Fury at the Team Fury gym in Bolton. The undergraduates produced exclusive content for fight promoter Hennessy Sports social media platforms in the weeks leading into the contest and from ringside on fight night. This included live streaming the weigh-in and media conference via Twitter and Instagram, conducting interviews with Hughie and other boxers specifically for social media and producing promotional videos. 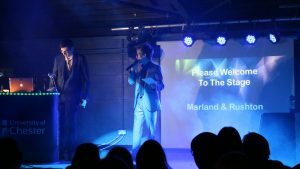 Students were also granted ringside media accreditation where they live-tweeted the undercard action and main event round-by-round, before gaining behind the scenes access to interview the new British champion and his trainer. Second year student Rowan Newman said: “It was an unbelievable experience to report live from such a big fight. “To see how TV and the media work at these huge events was very interesting and gave me an insight to what it would be like if I went down the broadcasting route while also providing first-hand experience in social media reporting. BA Sports Journalism programme leader David Randles said: “It is important for Sports Journalism students to sample live reporting at big events and this was an excellent opportunity provided by Hennessy Sports. You can see some of the content produced by the Sports Journalism students for Hennessy Sports HERE. Find out more about studying BA Sports Journalism at the University of Chester HERE.